Although both Canada and the United Kingdom had experienced terrorism prior to the attacks of 9/11 and already had in place extensive provisions to deal with terrorism, the events of that day led to the enactment of new and expansive counter-terrorism legislation being enacted in both jurisdictions. This book explores these changes to counter-terrorism laws and policies in the UK and Canada in order to demonstrate that despite the force of international legal instruments, including the heavily scrutinized UN Security Council Resolution 1373, the evolution of counter-terrorism policies in different jurisdictions is best analyzed and understood as a product of local institutional structures and cultures. The book compares legal and political structures and cultures within Canada and the United Kingdom. 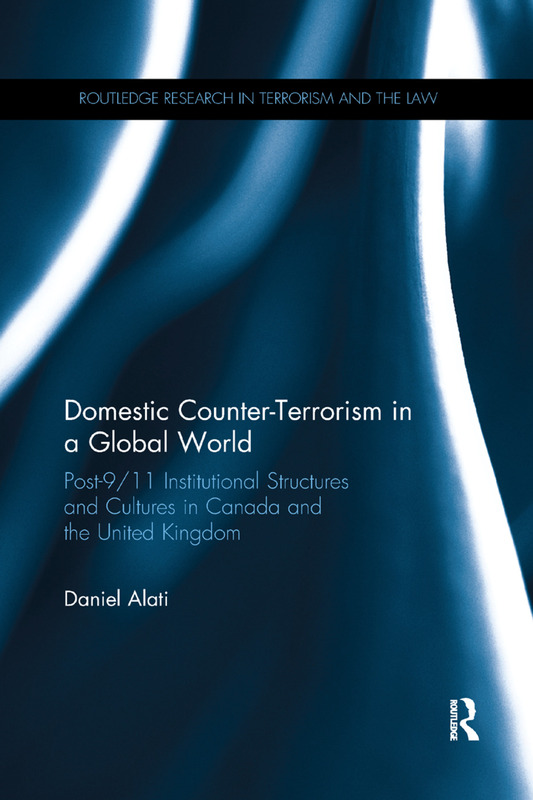 It analyses variations in the evolution post-9/11 counter-terrorism measures in the two jurisdictions and explores the domestic reasons for them. While focus is primarily geared towards security certificates and bail with recognizance/investigative hearings in Canada, and detention without trial, control orders and TPIMs in the UK, the use of secret evidence in the wider national security context (terrorist listing, civil litigation, criminal prosecutions, etc.) is also discussed. The book reveals how domestic structures and cultures, including the legal system, the relative stability of government, local human rights culture, and geopolitical relationships all influence how counter-terrorism measures evolve. In this sense, the book utilizes a methodology that is both comparative and interdisciplinary by engaging in legal, political, historical and cultural analyses. This book will be particularly useful for target audiences in the fields of comparative law and criminal justice, counter-terrorism law, human rights law, and international relations and politics. Dr. Daniel Alati is an Assistant Professor in the Department of Criminology at Ryerson University in Toronto, Canada.